The fauna is rich and varied. And if chamomile fields and gardens of tulips cause us inspiration and delight, the other category of plants is not able to bring anything other than fear and tingling in the skin. In our today's list - the most terrible plants growing on our planet. 1. Bloody tooth. Also known as the devil tooth, strawberries with cream and tooth juice. It contains substances that thin the blood. So we do not recommend eating it. Once it was known since 1812 that the Mushroom - poisoned. Most likely, someone decided to try it, and now we know that after such goodies death is guaranteed. 2. Tarragon ordinary (or Drakunkulyus) growing in southern Europe in the olive groves and other orchards. The appearance of at it, of course, frightening, especially long purple pipe in the inflorescence. It seems to be okay, but the problem is that this flower smells like excrement and carrion. Certainly not the best choice for your garden plants. 3. Rafflesia - the smallest flower among his fellow giants (eg, inflorescence Pouilly Raymond reaches a height of 13 meters and its average diameter - about 2.5 meters, making it the largest in the world). Rafflesia is a parasite and is powered by other plants to which it is attached thin filaments. Other its name - Cadaveric Lily. And though it looks really spectacular, it is better to enjoy it at a distance, or in a gas mask, because it smells like decaying flesh, that is, like carrion. However, from this Rafflesia only wins, since the aroma attracts insects that pollinate it. 4. 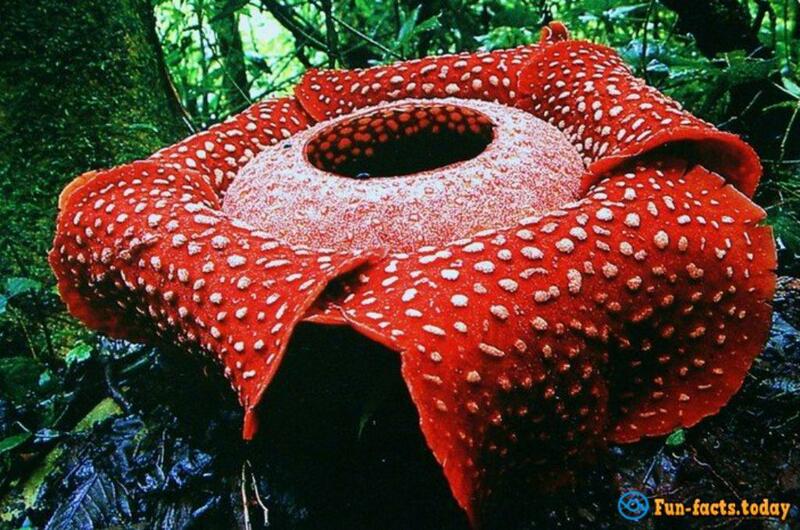 Rafflesia can be compared only to the biggest flower in the world - Titan Arum. 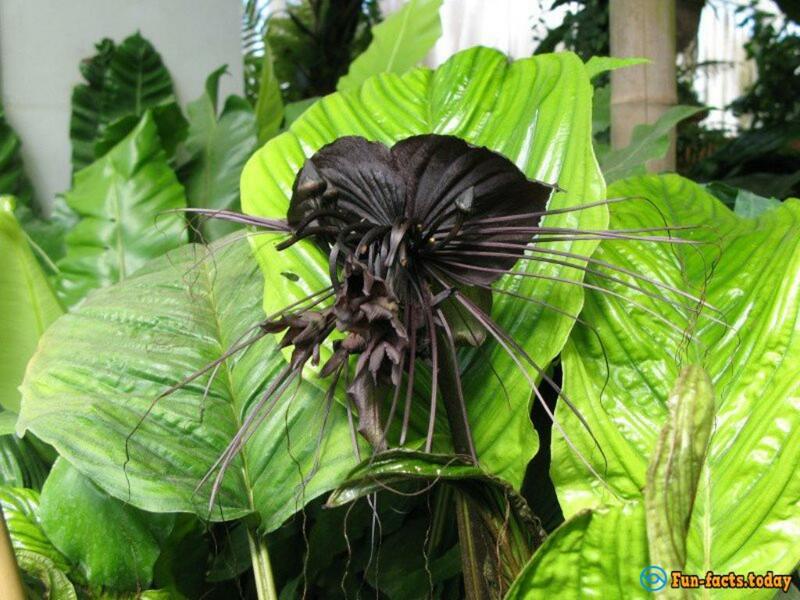 His wild stink also attracts flies, and visitors to the botanical gardens, which are solved to grow them. To their disappointment Titan Arum blooms only once every 5-10 years. 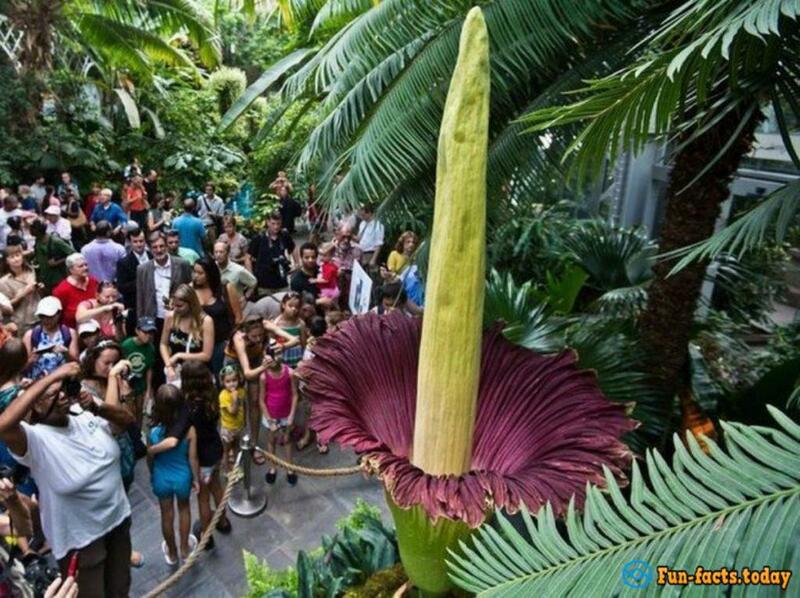 Therefore the news about blooming of the most hideous flower in the world (and it blooms only two days) excite the public. 5. 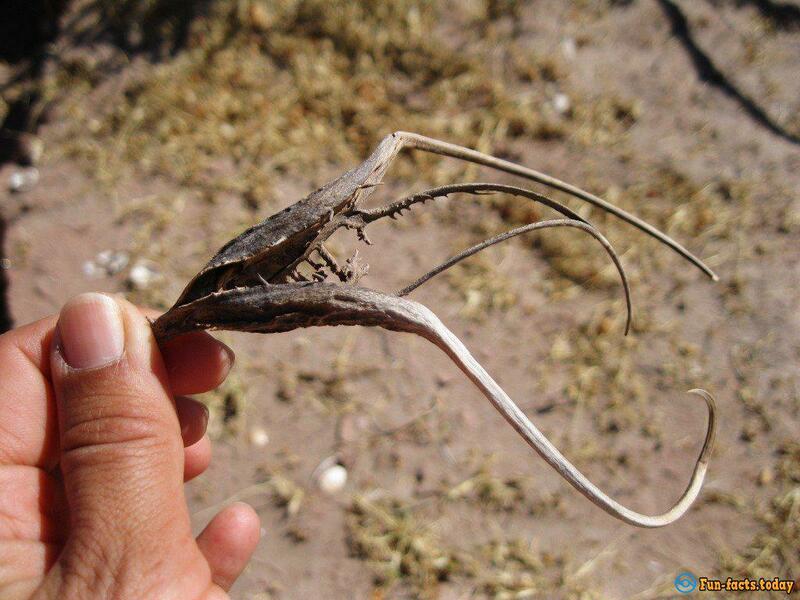 African gidnora seemingly looks like a claw-mutant cancer, and grows under the ground ( get out in the surface after precipitation), it smells really bad (declay arome), and feeds on insects. It seems that it can digest the person in case of shortage of flies. However, for jackals, porcupines and baboons this nasty flower is a favorite treat. 6. Welwitschia - dinosaur plant, grows in the Namib Desert and is a tree. Lives 1200-1300 years, and the oldest sample has reached the age of 1500 years. Its leaves are dotted with stomata, which are able to collect moisture from mist. Because of this she survives in harsh environments. It looks like the Welwitschia tentacles, but at least does not stink. 7. Giant Dutchman's pipe is like a huge piece of meat, and smells of as well. Some species of this family, though not have large dimensions, but looks intimidating (e.g., in the form of jaws with teeth). 8. Doll eyes seems an alien plant. Other its name - White Black Cohosh. It grows in the mountains of North America. 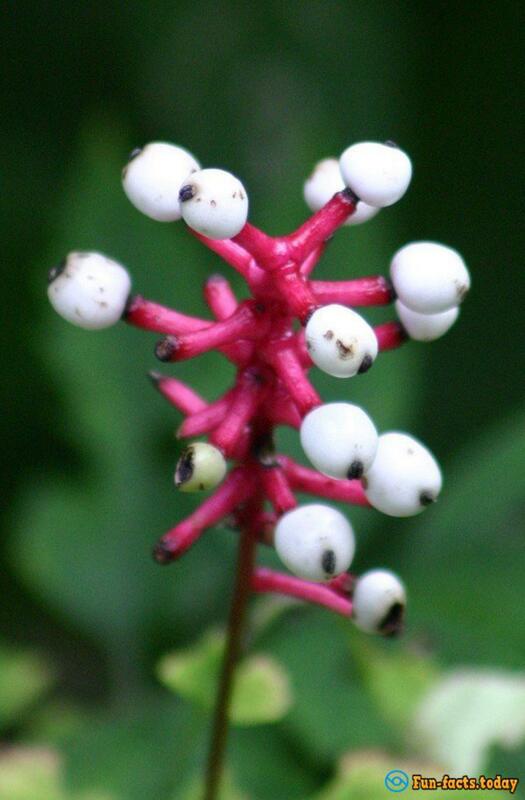 It is very poisonous, causes cramps, vomiting and hallucinations. Apparently, once we know about it, someone has already tried it. 9. Harpagophytum procumbens has other names better suited her appearance - the devil's claw, devil's chela or a spider forest. Initially this fear grows only in Arizona. Indians wove baskets from it and left them on the margins, thus scaring off enemies. Now, however, these claws grow in the whole territory of the north-western United States. It seems that this can really attack and take over the world. Despite its daunting appearance, it is used in medicine as an effective remedy for arthritis and rheumatism. 10. Porkupinsky tomato does not have to do with tomatoes. This plant is very insidious. Heyday quite comely purple flowers, it attracts unsuspecting insects that would later become victims of orange sharp spines on the leaves of tomato. In addition, it is also toxic and it is difficult to get rid of him. Tomato will safely transfer any poison, you pour it. This invader in the garden is very undesirable, especially given the fact that it reproduces also quickly as it eats its victims. 11. Yellow tentacles Buddha Hands is very popular in China, as it is used there as a talisman against evil spirits. In fact, in contrast to the previous monster, citrus, though looks like an octopus, but it is very tasty and has a pleasant smell. In Japan, it even brewed as tea. 12. Chinese mice flower truly is the most macabre flower in the world. It has wings like a bat, and the tentacles, like a real monster. It seems that Hollywood filmmakers have his image during creation of the "Alien vs. Predator" films. But even this black flower has its admirers, who cultivate it in your garden on a "joy" to neighbors.